After the Flagship Gionee Elife E7 the company has launched there latest smartphone, the Elife S 5.5. The Gionee Elife S5.5 is world’s thinnest phone, which is just 5.5 mm thick. The phone comes with some robust specs and has tons of unique features to impress any smartphone lover. The handset is powered by 1.7Ghz Octa Core processor based on MT6592 chipset. The smartphone comes with a 5-inch Full HD Super AMOLED display with corning Gorilla Glass 3 protection. To make the phone alive there is Android 4.2 OS with Company’s own Amigo UI on the TOP. The packs with 13-megapixel camera and 5 megapixel front shooter with 95 degree wide angle lens. 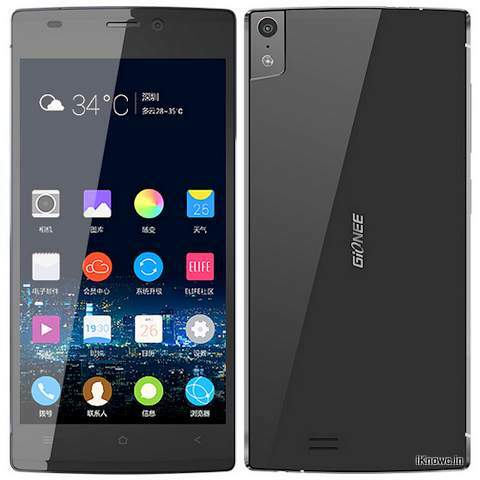 The Gionee Elife S5.5 houses 2300 mAh battery and has 2GB LPDDR3 RAM to make the device snappy. For better graphics rendering the device is accomplished with 450 MP4 GPU. The handset is not launched in India Yet, but has been announced in China for a price of 2299 chinese Yuan. The company would launch the LTE variant of the phone. It comes in Black, White, Pink and Purple colors. It would compete (VS) with Micromax Canvas A350 Knight and Intex Aqua Octa.